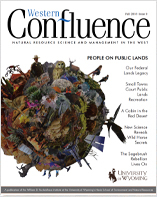 Western Confluence magazine explores the western United States’ stickiest natural resource issues – drought, freshwater supply, our changing climate, wildfires, invasive species, insect outbreaks, energy development impacts, conservation finance, and more – and seeks out realistic, interdisciplinary solutions. 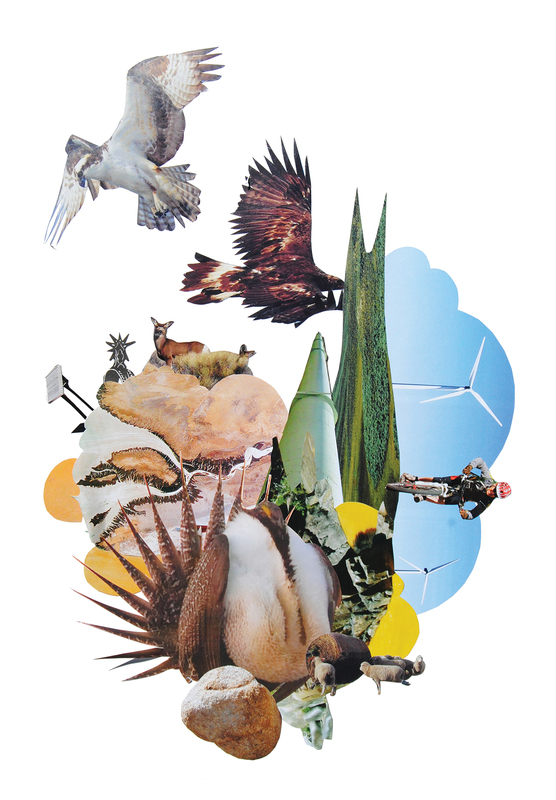 The magazine bridges complicated science and policy understanding generated at academic institutions to the people who are working with natural resources out on the ground. The Western Confluence advisory board offers mentorship, brainstorming, and guidance to the magazine staff. The board includes Randy Teeuwen, Gregory Nickerson, Anne MacKinnon, and Chris Madson. Many thanks to them for their insights and support. Since 1993, the Ruckelshaus Institute at the University of Wyoming has provided research, policy analysis, and collaborative decision-making support to inform natural resource management in the West. The Institute fosters responsible solutions to natural resource challenges by stewarding application of sound data and information to real-world management decisions. The Ruckelshaus Institute works to ensure that citizens and leaders make wise and informed decisions that will sustain our communities and natural resources for generations to come. The University of Wyoming provides quality undergraduate and graduate programs to 13,800 students from all 50 states and 94 countries. Established in 1886, UW is a nationally recognized research institution with accomplished faculty and world-class facilities. Offering 200 areas of study, UW provides an environment for success. Through the Ruckelshaus Institute, Haub School of Environment and Natural Resources, and other programs, UW excels at providing education, research, and outreach in the field of environment and natural resources.